North Carolina’s beloved – and lucrative – craft brew scene reached a turning point a dozen years ago when a disparate band of activists coalesced around twin passions: a love of craft beer and hatred for being told what they couldn’t do. Those passions fueled a movement called Pop the Cap, a grassroots campaign that led to a hard-fought legislative battle. 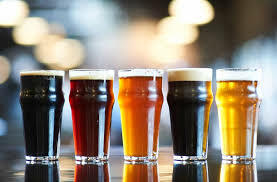 The resulting law, passed in 2005, did away with an antiquated statute that limited beer sold in North Carolina to six percent alcohol by volume, making it possible for brewers to create and sell a vastly wider range of beer.